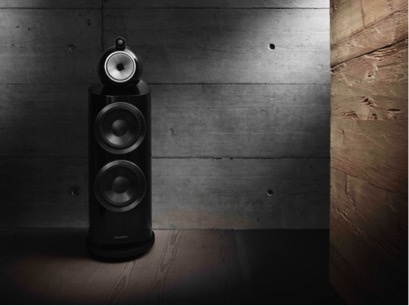 Bowers & Wilkins is renowned throughout the world for producing best in class loudspeakers used in leading recording studios and the homes of serious audio fans. From its UK manufacturing base in Worthing, the company produces the iconic Nautilus and the flagship 800 D3 Series loudspeakers incorporating Diamond tweeter technology. 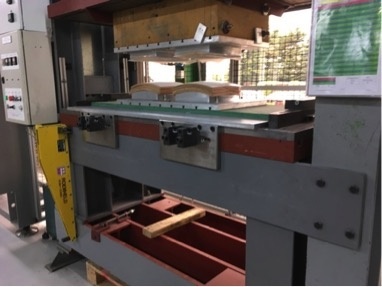 The complex technologies behind the design of the wooden speaker cabinets of the 800 D3 Series require that wood be machined to extremely high tolerances and a great deal of customisation take place during the process. As a result, each cabinet takes 31 days to manufacture. To facilitate faster tool changes without any loss of accuracy, Bowers & Wilkins decided to implement zero point mounting systems from Roemheld (UK) Limited. 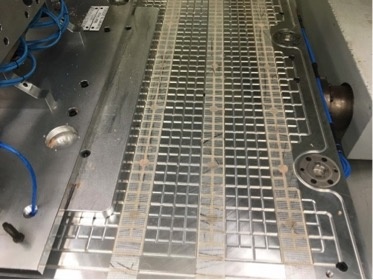 Senior Production Engineer, Derek Saunders, was instrumental in designing the project to fit Stark Easy Click zero point to 12 machining tables within seven machines, five of which were twin table machines and two were single tables. 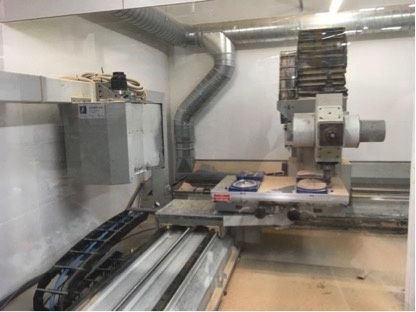 It proved to be quite a task as the tables on the old CNC machines had multiple channels for vacuum holding and Bowers & Wilkins wanted to maintain that capability as well as enabling the use of the Roemheld zero point mounting system. The project also had to fit around the company’s busy production schedule. 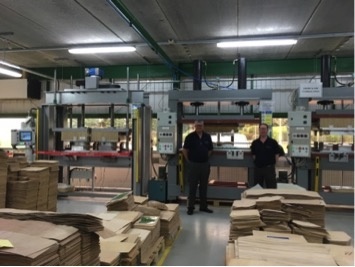 With three shifts per day, the company’s woodworking production operates 24 hours a day, 6 days a week. 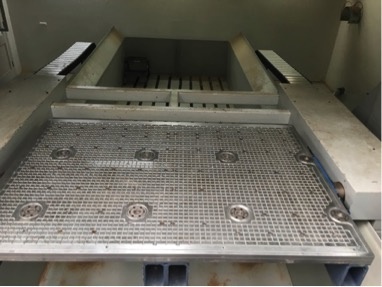 Roemheld had to ensure the parts were ready to fit in with the planned downtime and at times had to deliver to extremely tight timescales. Once in place, the Roemheld Easy Click zero point system reduced set up times from 2 - 4 days down to just a matter of hours. The Roemheld Easy Click components are in use on the machines making the Bowers and Wilkins’ flagship 800 D3 Series range of loudspeakers. The sculptural, curved fronted, reverse wrap cabinet has been designed to reduce the surface area around the driver to increase the accuracy of sound reproduction. The internal bracing system uses criss-crossed interlocking panels of thick, solid plywood and incorporates metal components to increase the rigidity of the cabinet and is optimised for each of the models in the range. To manufacture these aesthetic yet highly engineered cabinets, the wood is worked to the highest tolerances. Peeled beech or birch ply is built up in painstaking layers on presses to create the thick cabinet panels. Walnut veneers are used as a finish and the company uses the top 10% of Grade A knifecut so each face of cabinet pairs can be matched. 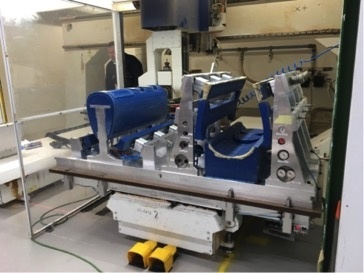 As well as incorporating easy click zero point components into the plant, Bowers & Wilkins also introduced Roemheld QDC carrying consoles, ball bars and hydraulic clamps onto three hydraulic presses in order to improve die change times. Bowers & Wilkins has been manufacturing for over 50 years music systems, cinema systems and more recently wireless music systems and headphones. The company has over 900 employees located throughout the world, with over 300 based in Worthing. The company prides itself on in-house design and development expertise and has an R&D team of over 100 people. To ensure the highest level of quality and attention to detail, if a component is key to a product it is made in-house. Efficiency boards are run on the line so every employee on the shopfloor can see them and productivity initiatives such as 5S are in place. The company is committed to apprenticeships and currently employs 4 apprentices in partnership with a local college. 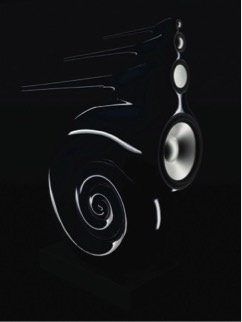 The Worthing site also manufactures the iconic Nautilus, the end result of an ambitious research and development project to create, as near as possible, the perfect loudspeaker. Its curved, seamless exterior is moulded from 10mm-thick, GRP and a pearlescent finish is achieved with 12 lacquer coats containing aluminium and mica particles and a unique baking and curing system. Nautilus has received a Millennium Award and has been seen at the Design Council and the Design Museum London. Bowers & Wilkins has an annual turnover of around £130m and exports to over 80 countries worldwide. The company has received the Queen’s Award for Export on two occasions and also a Silver Award for Investors in people. 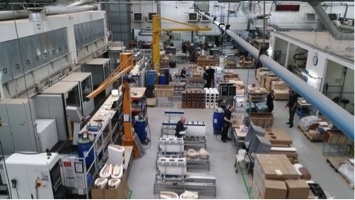 To find out more about Roemheld’s extensive range of workholding and materials handling go to www.roemheld.co.uk or telephone 01462 459052. For more information on Bowers & Wilkins visit www.bowers-wilkins.co.uk.